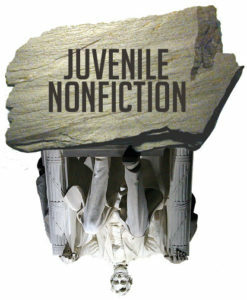 “Weirdly ideological, but I couldn’t put it down,” I wrote on readernaut. 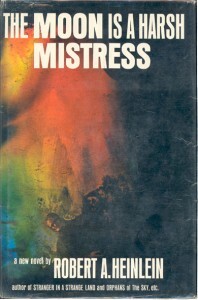 “Actually one of his less insane novels, which is a good introduction. Still, he’s an entertaining, thought-provoking kind of crazy,” wrote Eric in response. A computer technician from the moon (an open penal colony, essentially) describes how a bunch of free-thinkers, with the help of a sentient computer, liberate their underground colony from the imperial grip of the economically oppressive Earthlings. Free thinkers as in its obvious who is Enlightened and who is not in this novel. Line marriages, p[ressure]-suits, Radical Jeffersonianism, artificial intelligence — the whole thing is like a strange Mary Jane where Heinlein just writes himself into all of his pet theories and wins the day. It was impossible to look away from for that very reason. Yet another surprise from my book club. Meet the new boss, same as the old boss. 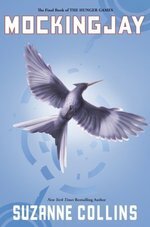 In which Katniss discovers that the rebel regime is in many ways as totalitarian as the nasty old regime, and in a fit of magnificent melodrama turns on her liberators with what turns out to be perfect wisdom. And then wraps up the love triangle neatly and lives happily ever after. Whoops, did I spoil it? All the good characters are either martyred tragically or succeed against all odds. All the bad characters reveal their true colors at the end, and die either miserably or gloriously, depending on whether you see this series as a probing and multidimensional political critique or a healthy slice of have-your-cake-and-eat-it-too reality television masquerading as a political critique. But its miserable and glorious, for sure. The trick is in making the stuffing so good, you overlook the skeleton of the beast. 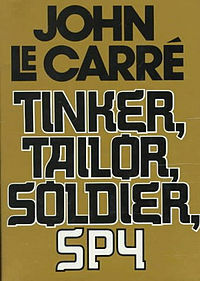 The spy-thriller-skeleton is all there — the subtle tips to “tradecraft,” “lamplighters,” “janitors,” and the lot; the parade of secondary characters being plied with drink to spill their portion of the narrative; the double- and triple-crosses — but the body of it is so good you just go along for the thrillride. Smiley is called in to ferret out a mole in British intelligence after a deep cover operation goes haywire in Czechoslovakia. I wanted not to see Gary Oldman (or Sir Alec Guinness for that matter) before I’d read this for myself. Le Carré seldom fails me. “When you’re privileged you don’t even know you’re privileged,” basically. Black evangelicals, get used to a life of checking your race at the door when you enter the world of white establishment evangelicalism. Gilbreath is kind and self-effacing about it, but that’s the gist. 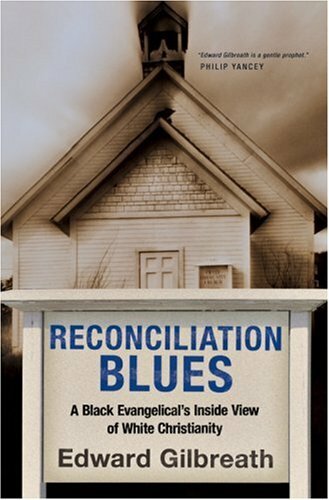 The issues considered in this book are right in my wheelhouse, and it was worth it to read the story of the black evangelical leader who had to suffer the white evangelical leader’s personal confession and apology for his and his race’s abuses. It doesn’t work like that, he told the teary-eyed confessor. Come over to my house and let’s grill out and get to know each other. Your absolution comes in relationship, not in ritual. There’s the takeaway, folks. Goleman et al transfer their research in emotional intelligence to the realm of leadership, advancing the idea that leaders who create emotional resonance in their organizations through their mastery of certain emotional competencies will be better leaders than those that don’t. This task is “primal,” hence the title. It boils down to being smarter, emotionally, than the people you lead, which is sound principle but not quite so noble as the book tries to paint it. The competencies — self-control, influence, empathy, etc. — are sound. I finished it for integrity’s sake. Read for our Church Planting Residency at Vineyard Columbus. 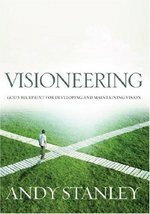 A study on the book of Nehemiah, looking at what vision is and how to develop it, shepherd it, act on it and sustain it in concert with a faith in God. 13 or so building blocks for the creation and pursuit of vision; sound principles, and lots of timely grace for Zena and I as we consider what planting a church is going to look like. But it’s not rocking my world or anything. 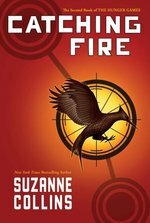 In which Collins contrives to send Katniss back into the hunger games, but this time as the icon of a burgeoning revolution, and we discover that District 13 lives. And of course she wins again, with a shot heard round the world, starting the revolution (hence the title, eh? ).